The Spa at Sheraton Sopot provides a wealth of therapies, facilities, services and activities to deliver a holistic wellbeing offer that encompasses beauty, relaxation, fitness, stress management, nutrition and longevity. We believe that mind, body and spirit are interdependent and one cannot exist in a perfect condition without the other two components being perfectly balanced and healthy. We use Ella Bache & Dermologica skin care lines for all Spa treatments and they are also available for purchase at our Spa reception. 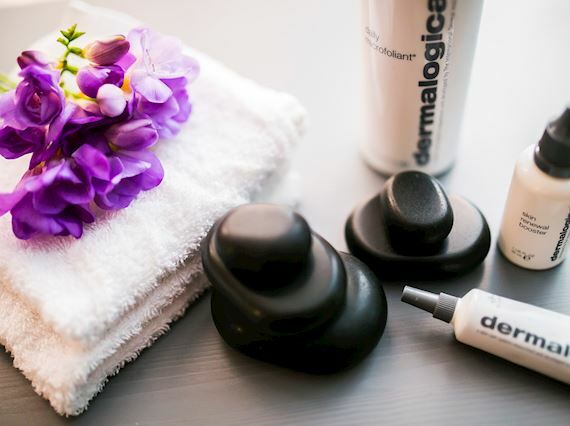 These products which contain valuable skin minerals can be used as a supplement to our spa treatments in order to prolong the effects and for skincare purposes. 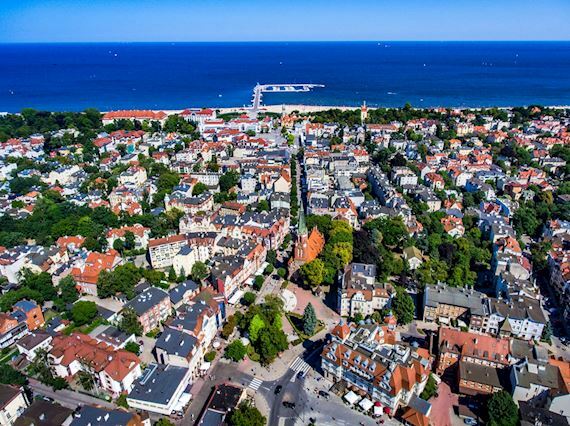 Sopot named as a pearl of the Baltic Sea, is a one of the most charming places in Poland and the most popular Baltic seaside resort. Sopot has always been a favourite holiday destination for Polish and foreign guests. An excellent spot for weekend escape, family holidays and business meetings. 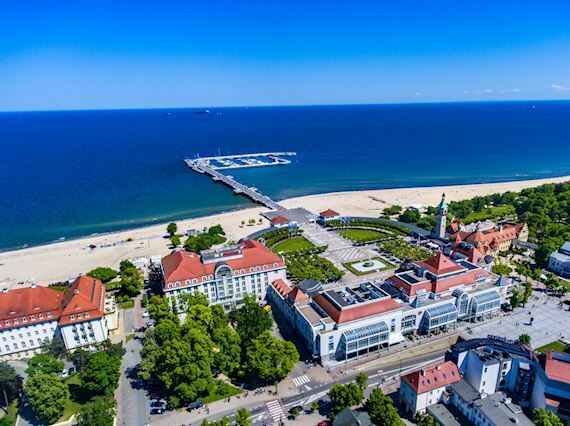 Sopot's ample hotel and spa facilities, full of restaurants, pubs and cafes and appealing sport and cultural events are some of the reasons why the number of visitors is growing each year. Sheraton Sopot Hotel is located in the heart of the Sopot resort, right by the beach, next to the longest wooden pier in Europe and just 30 minutes away from Gdansk Old Town and the Gdansk airport. With 189 elegant rooms including 11 newly renovated premium suites located on the top floor, the Sheraton Sopot Hotel is the ideal destination for every occasion, from family getaways to a business stay. Hotel boasts unique venues like Polskie Smaki Restaurant with regional cuisine, Congress Center and private beach.